Blendtec blender for perfect smoothies. 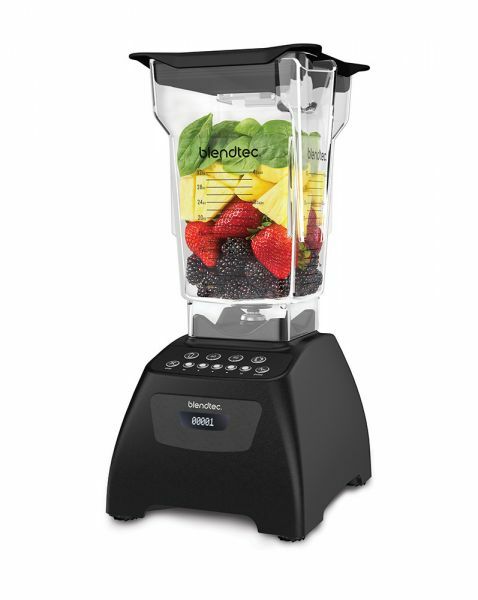 The Blendtec Classic 575 is a high quality and super powerful high performance blender and one of the best blenders on the market. With great power, an intuitive menu and neat turns, he has convinced every user so far. The Blendtec Classic 575: The ultimate smoothie mixer for a small price. The Blendtec Classic 575 combines commercial strengths with the classic options the majority of customers have used most commonly. So there are two novelties on board to facilitate the kitchen life: A very useful self cleaning cycle with the according icon and 5 different speed levels. Blendtec simply are the best mixers for smoothies, which definitely becomes even clearer through the 4 automatic and well-elaborated blending cycles, like “Smoothie”, “60s”, “90s” and “Self Clean”. 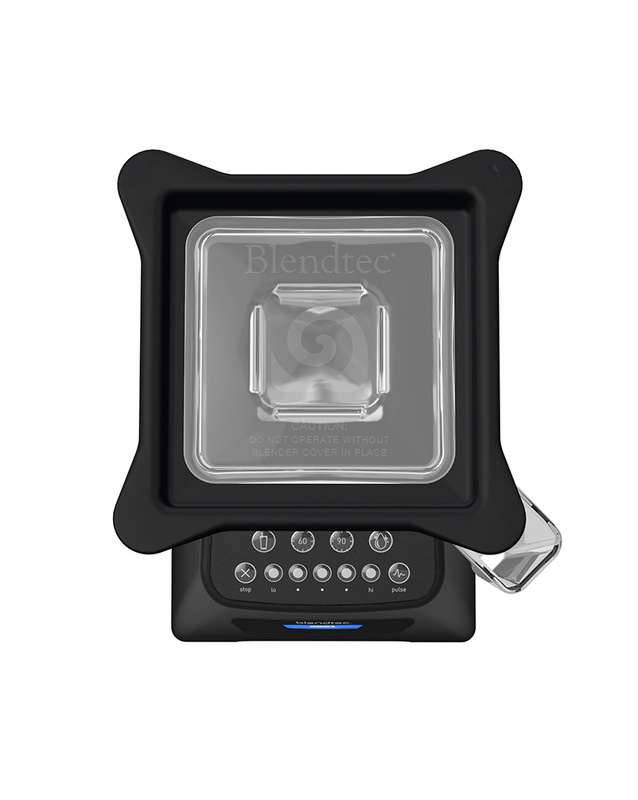 The Blendtec Classic 575 also is equipped with a 5 steps set-up and a pulse control. This leads to best quality on the gastronomic level and ensures high-quality smoothies, soups, juices or ice cream. With the Classic 575 Blendtec really has succeeded in distributing all important functions to a small number of buttons. In accordance with a clear overview, the user is still able to use a wide range of functions. At the same time the LCD display provides all important information, such as revolution counter and display of the current program. 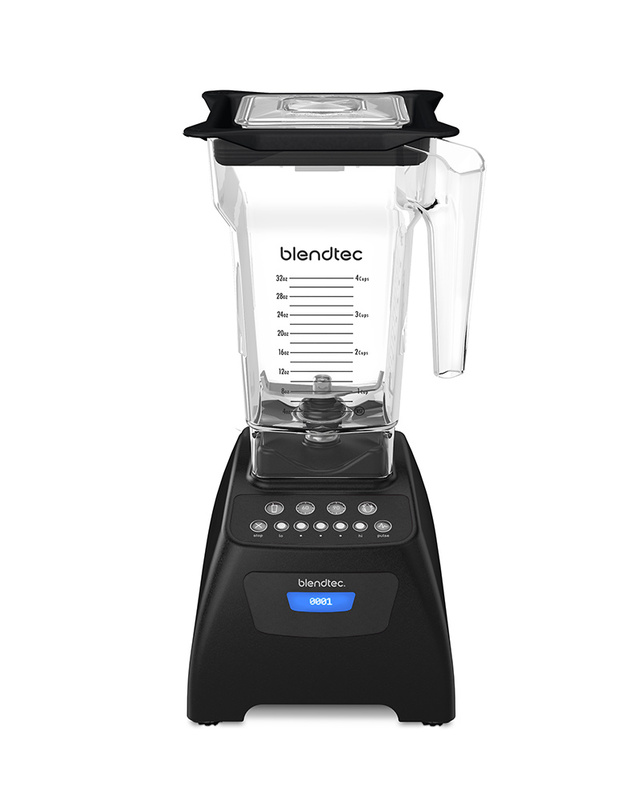 If you look at the price and compare the operating options with other smoothie mixers on the market, the Blendtec Classic 575 really has a very fair price. That is why we call it an entry model, which we only refer to the price. The Blendtec Classic 575 is also available in a very wide range of colors, so there should be suitable options for everyone. 1560 Watt engine: Whenever you want, this thundering robust engine gives you the opportunity to master any recipe you can possibly imagine. 4 automatic blending cycles: “Smoothie”, “60s”, “90s” and “Self Clean”- These cycles will really be useful to you! They offer the convenience of simple smoothie preparation, as well as quick and easy cleaning. The 575 also uses two one-touch time cycles! That is the the 60 second cycle for whole foods, juices or raw soups and the 90 second cycle (1-3x) for hot soups. With the speed levels, users can approach and maintain one of the five preset speed levels. The levels start at “Lo” (slow) and end at “Hi” (fast). The slow speed stages are particularly suitable when using the Twister Jar, or when working on mixtures/ recipes with a specifically desired consistency. 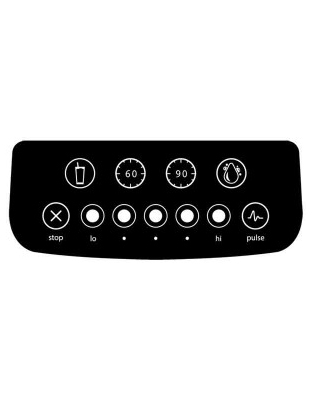 Pressing the pulse button increases the speed and taking off the finger decreases speed until it stops. This function especially is helpful when something is to be remixed that stayed in the container for some time. Related links to "Classic 575"
Customer evaluation for "Classic 575"